I whipped this up for Mum’s birthday today and tastes just as moist and decadent as it looks!! 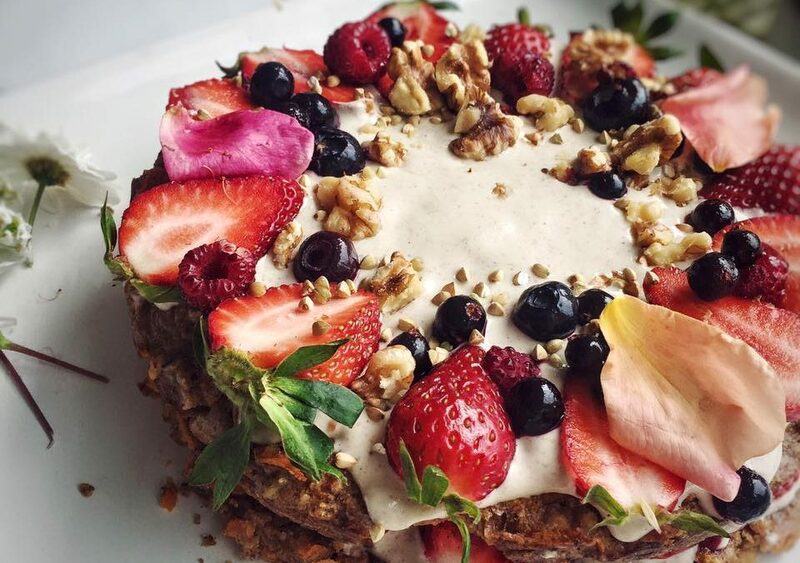 This is the ultimate ‘free from’ cake as it is free from refined sugar, gluten, dairy and white flour. It can also be made vegan if you substitute the butter for coconut oil and the eggs for chia seeds (mix 1tbsp of chia seeds with 3 tablespoons water until chia goes jelly). One tablespoon chia seeds = 1 egg. Combine eggs, butter, almond milk, sultanas, pure maple syrup, carrots and vanilla extract.